The end of the world has never been this exciting! Mad Max: Fury Road relit the fire that is Mad Max. The character has been portrayed for decades, but the latest installment is one of the most visually stunning, exciting, and entertaining post-apocalyptic action movies that has ever been made. Normally, heavy action-oriented movies like Mad Max seldom receive all too many Academy Award nods. However, so impressive was the film that Mad Max: Fury Road took home a whooping six Oscars in 2016, even getting nominated for Best Picture. So, what was so special about Mad Max: Fury Road? The movie features an appealing blend of cinematography that brings you deep into the post-apocalyptic setting. Set in the future, when water has become a scarcity worth killing for, the desert landscape is all that’s left. Gangs rule, outfitted with insanely upgraded vehicles, weapons and unfathomable physical strength. Furiousa (Charlize Theron), makes redemption her mission, aiming to free the wives of her gang’s leader, all of which have led lives of sexual slavery in order to reproduce. At the same time, Max (Tom Hardy), a lone drifter, is captured by the gang. In a serendipitous twist, the two join forces in an effort to save the women, and themselves. If Mad Max: Fury Road left you wanting more post-apocalyptic fun, we’ve got our list of Top 10 Movies like Mad Max that will have your heart pumping – no actual human extinction required. The movies, characters, and images shown here are the properties of their respective studios. This post features Amazon affiliate links. All recommendations are based on 100% honest opinions. 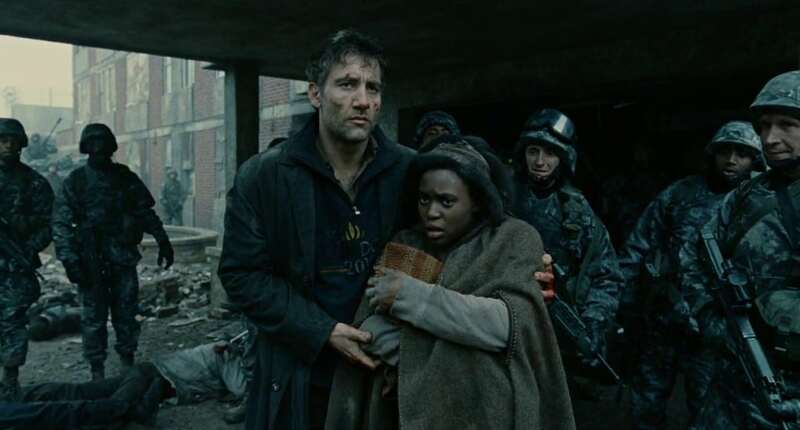 Children of Men takes place 18 years after the last baby was born. Violence is prevalent, new ideas are admonished, and people are scared as they contemplate being the last humans to roam the earth. Martial law is the new rule, and of course, counter-groups are aplenty. Julian (Julianne Moore), an activist and her ex-husband, Theo (Clive Owen), come together with a glimmer of hope; the pregnant woman, Kee. Like Furiousa from Mad Max, the couple makes it their mission to protect Kee and take her to safety, as they travel through war-torn areas and fight against the oppressive government. Watch Children of Men Online in Full HD. There are many zombie tropes, and all of them are scary, but until you’ve seen the waves of World War Z zombies, you haven’t felt the thrilling fear that those mobile freaks can instill. The movie, based on the book by Max Brooks, tells the tale of Gerry Lane (Brad Pitt), who is faced with the conundrum of saving the world while at the same time trying to protect his family from the zombies that ravage every inch of the earth. 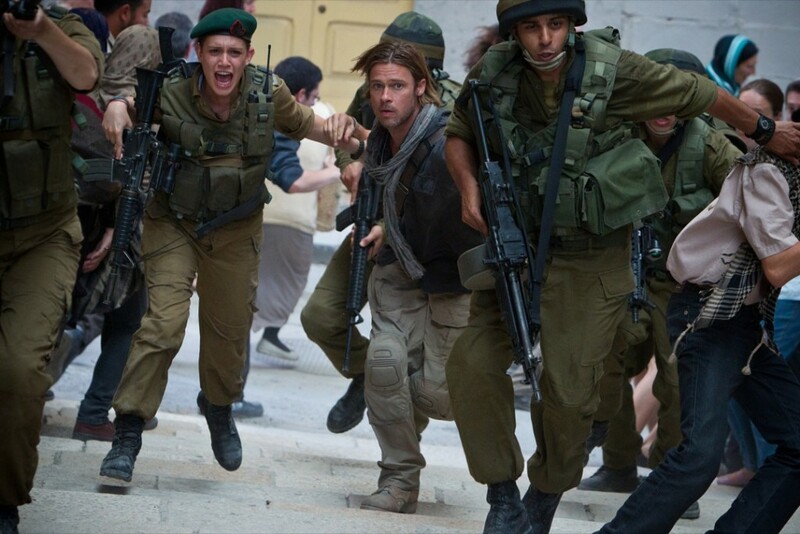 Watch World War Z Online in Full HD. The Road, based on the book by Cormac McCarthy, is a slow burning fuse that sets the stage of depressive hopelessness that is inevitable when everyone you know is dead. The Road follows a father and his young son on their journey south, as they try to avoid the cold winter months. The streets are barren, filled only by cannibals who wouldn’t hesitate to eat the duo for their next meal. It’s a movie you must watch, but only once… as you’ll never forget the sentiments of love and despair conveyed on the screen. Watch The Road Online in HD. Set in a post-apocalyptic ice-age where a disastrous climate-change experiment wipes off almost all life on the planet, only a fortunate few survive on the Snowpiercer – a high-tech train that travels in a never-ending journey around the globe. However, acrimony threatens to unhinge this last sliver of humanity as Curtis Everett (Chris Evans), along with his mentor Gilliam (John Hurt) and other passengers, fight in a battle to the death to overcome their tyrannical oppressors. 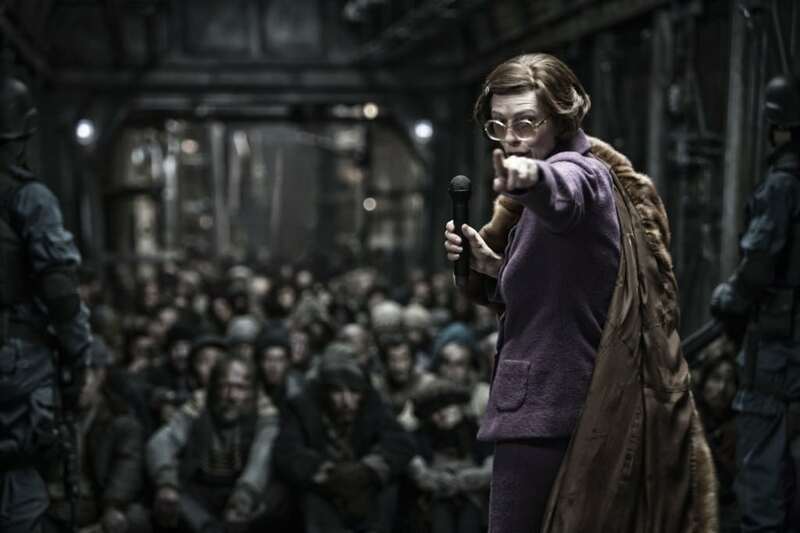 Snowpiercer has been highly praised for its excellent acting, creative storyline, effective cinematography, and clever euphemisms for modern class warfare. Watch Snowpiercer Online in Full HD.